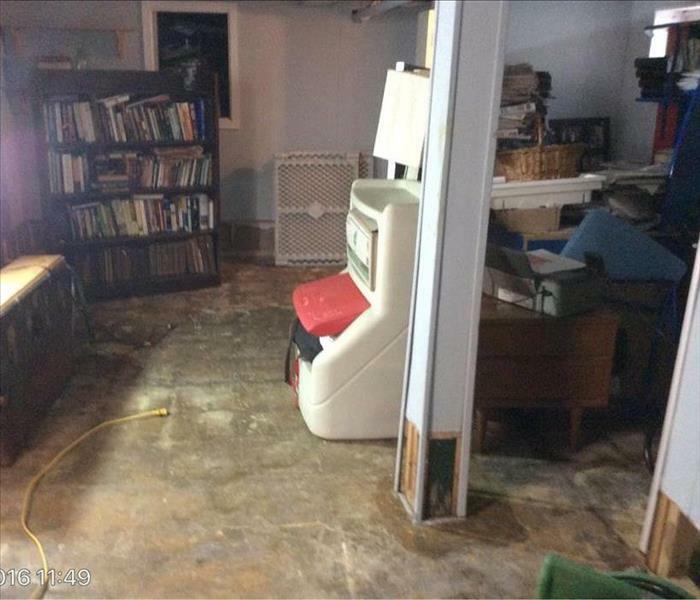 This basement had about a foot of water in it when we arrived. We carefully performed water extraction. We then proceeded with proper flood cuts to ensure all damaged materials were removed. SERVPRO of Ozone Park/Jamaica Bay is always here to help! This commercial building had water invade their first floor. The tile is salvageable as the moisture did not penetrate the grout. 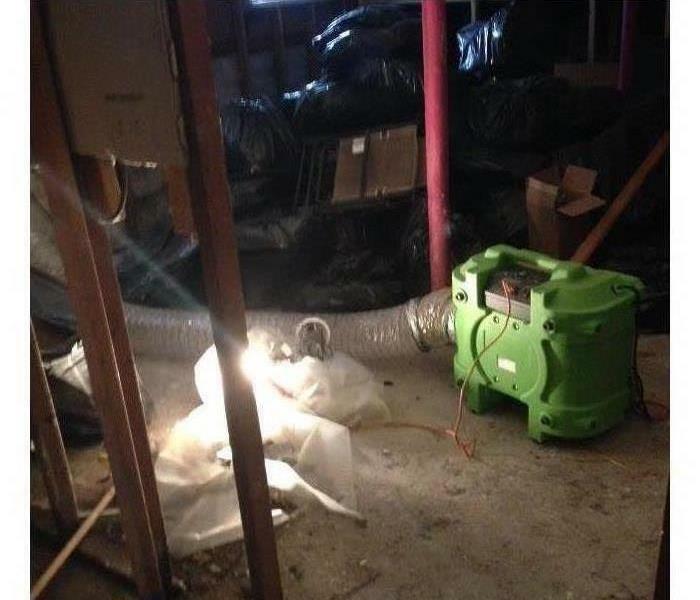 Extraction was the obvious solution for our experts at SERVPRO of Ozone Park/Jamaica Bay. If your home or business experiences flooding, you want a quick response from a team of professionals you can trust to do the job right. 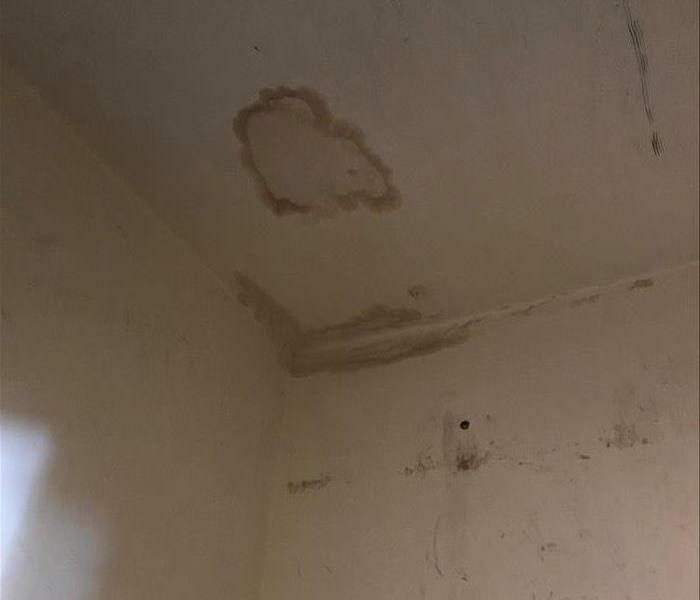 If the moisture isn't taken care of quickly and correctly, secondary damage such as mold can develop. 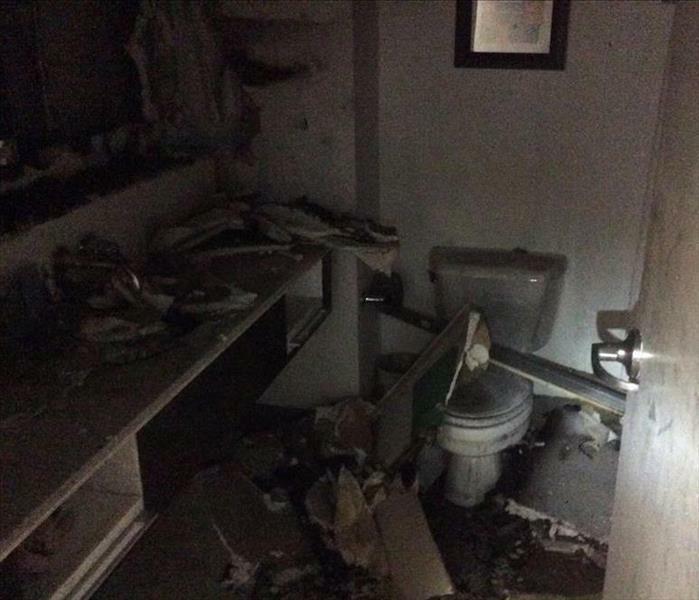 We were called to this home after a water loss that impacted multiple rooms including this bathroom. 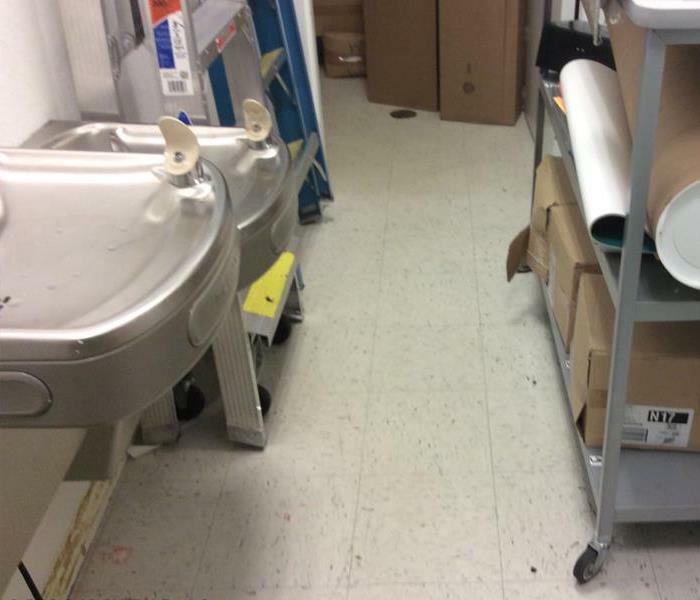 We brought in drying equipment like you see pictured here to help the drying process to go more quickly. When working on a water loss, it is crucial to take care of any moisture quickly in order to prevent secondary damage to your home. That is why we use equipment like this to help with drying. Our team was on site quickly when we were called to repair the damage to the home after a mold loss. We were able to address the moisture and the mold and make it "Like it never even happened." 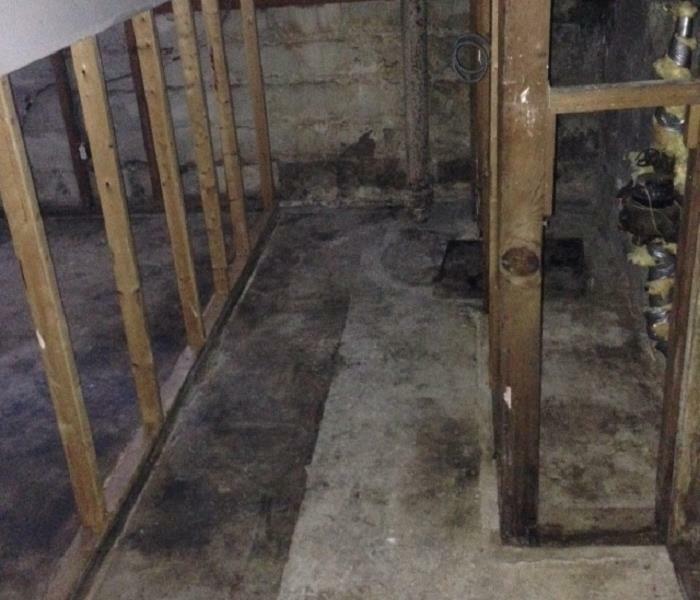 We were brought in to clean up and repair the damage in this basement after a fire. 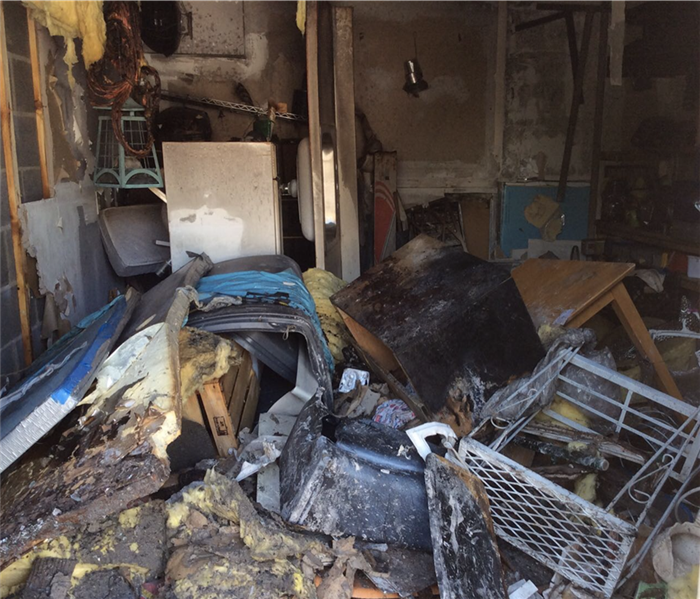 If your home suffers fire damage like this one, call SERVPRO. We are faster to any size disaster. 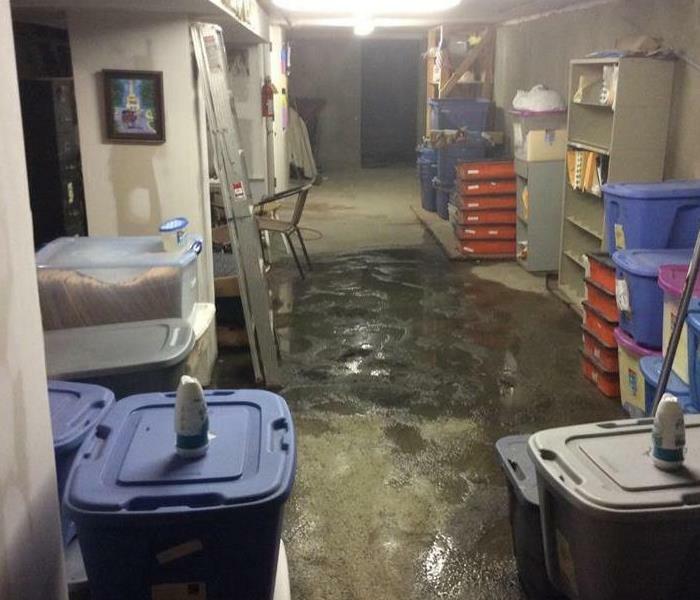 In this image, you can see an air scrubber placed in this basement after it was damaged by water. We use air scrubbers like this along with other types of drying equipment to help the drying process go more quickly. Our team was called to repair this home after a water loss. The kitchen pictured here was one of the rooms affected. 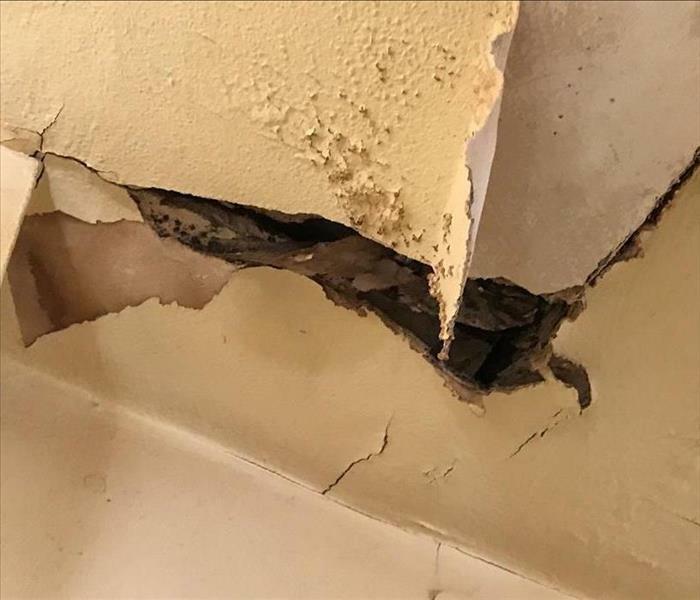 If your home has damage like this due to a water loss, give us a call! 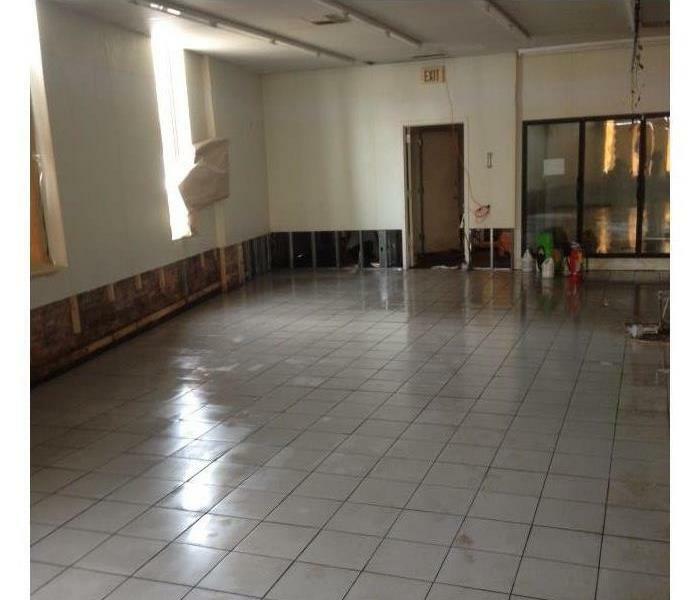 When our team was called to clean up and repair this facility after a water loss, we arrived to find the water you see pictured here still standing in the floor. If you have a loss like this call us! 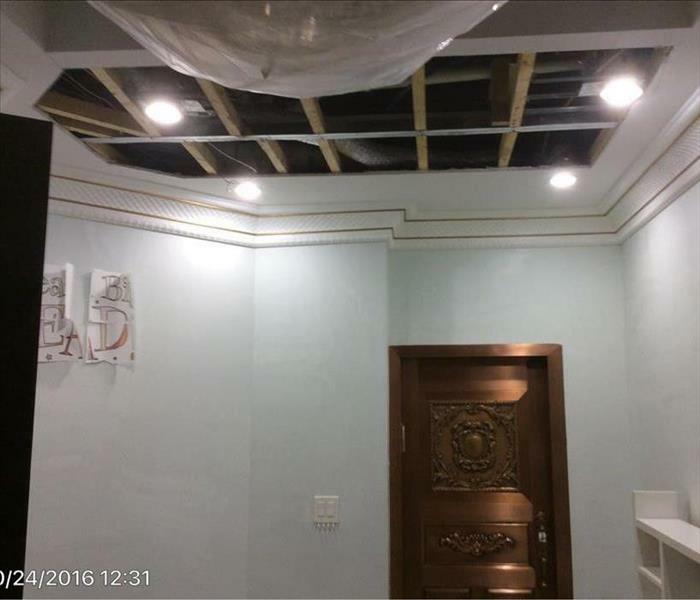 As you can in this image, our team had to perform flood cuts in this home after a water loss so that we could remove the damaged material. 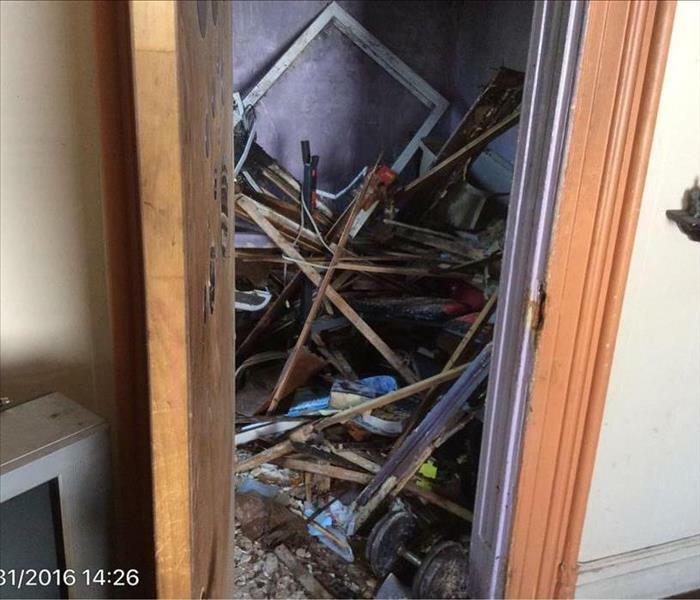 If your home suffers a loss like this, call us! 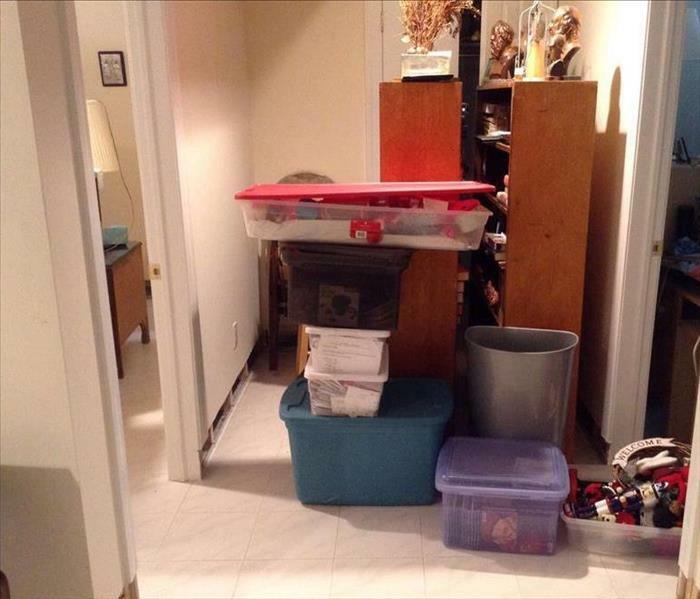 Our team was called out to this home after a pipe broke in the bathroom and caused significant water damage. We were able to repair the damage and left this home looking "Like it never even happened." A fire can leave behind a fine soot and smoke odor. 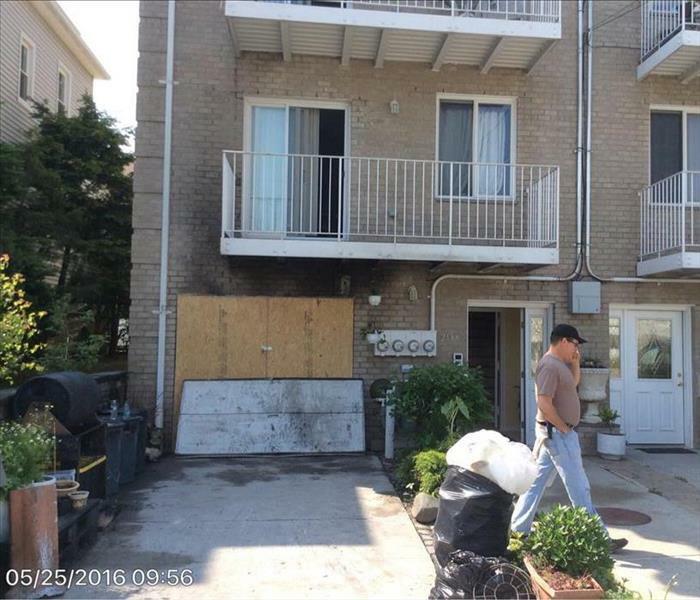 Call SERVPRO of Ozone Park / Jamaica Bay at (347) 233-2305 to have your home cleaned and deodorized after fire damage. The fire in this garage started from some bad electrical wires. 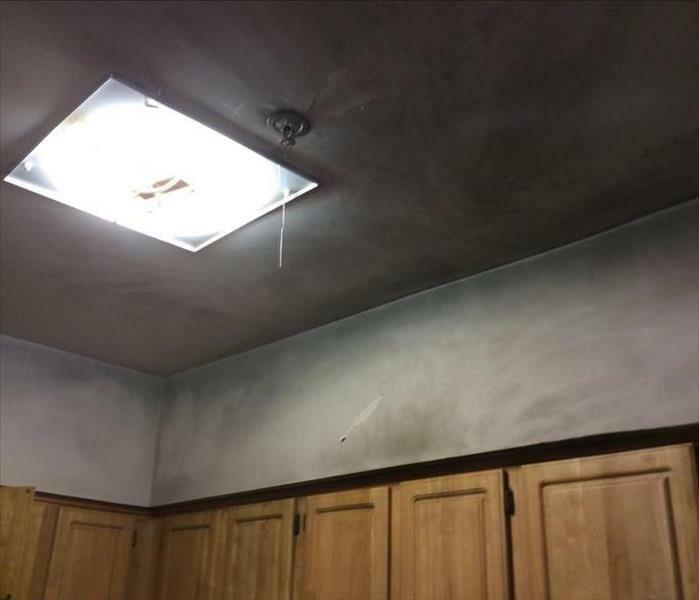 SERVPRO of Ozone Park / Jamaica Bay technicians have a lot of experience with fire damage. Give us a call at (347) 233-2305 if you need fire restoration services. How do I remove water from my basement? If you have water in your basement, contact SERVPRO immediately to get teams on site to start extracting the water. 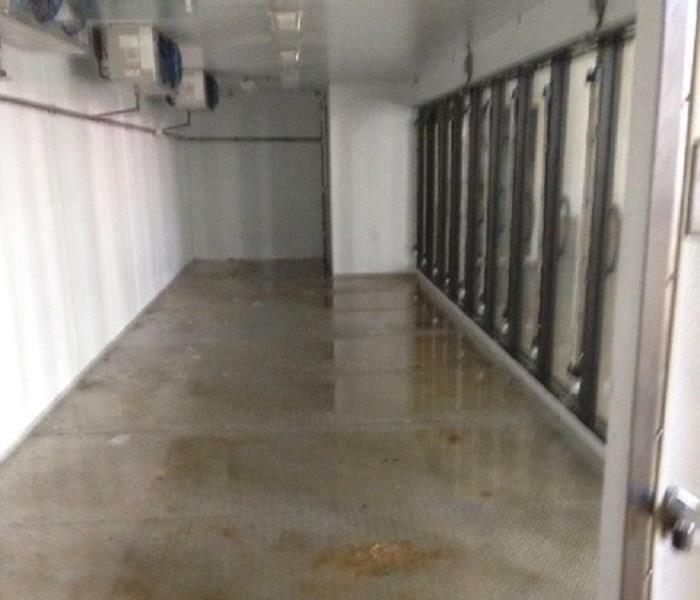 Once all of the water is extracted, SERVPRO can begin to place drying equipment. After a few days of drying and monitoring, the equipment can be removed and any reconstruction can be completed. 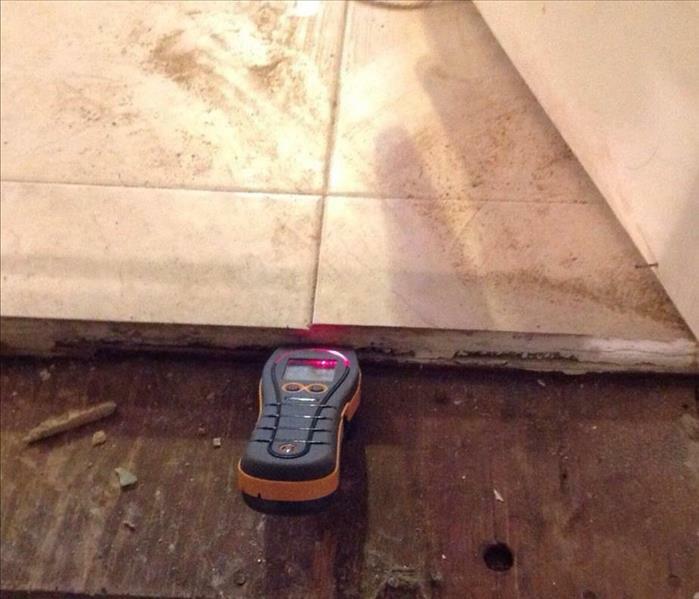 How do I dry wood floors after a water loss? If you have a water loss in your home and you have wood floors, there are many times SERVPRO can dry the wood floors without having to replace them. However if the water sits for too long it might not be possible. If you have water damage on your floors, be sure to contact us as soon as possible. 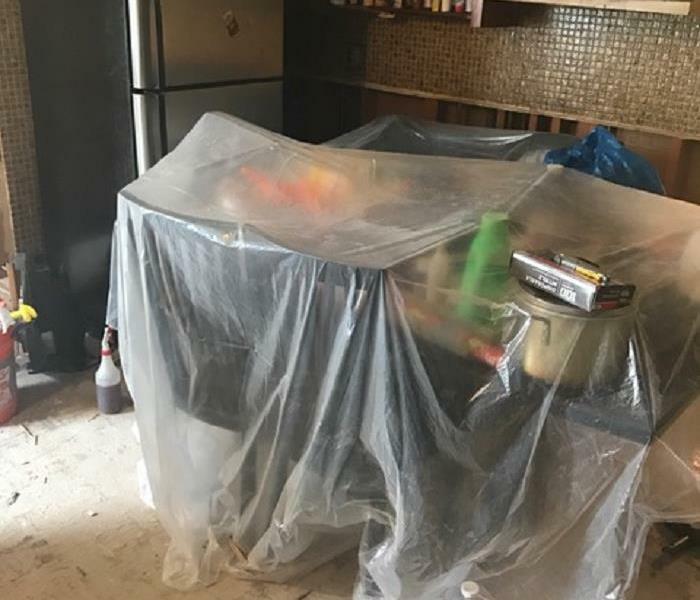 The team of SERVPRO of Ozone Park / Jamaica Bay responded quickly when we were called in to handle the cleanup after a water loss in this facility. If your business suffers a loss like this, give us a call. 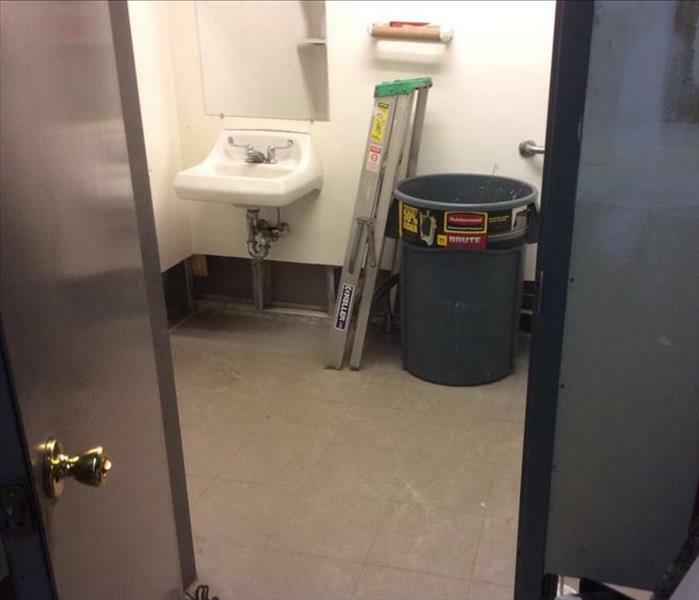 If your commercial facility suffers a loss like the one pictured here, call the crew at SERVPRO of Ozone Park / Jamaica Bay. We are available 24 hours a day, 7 days a week to take your call. 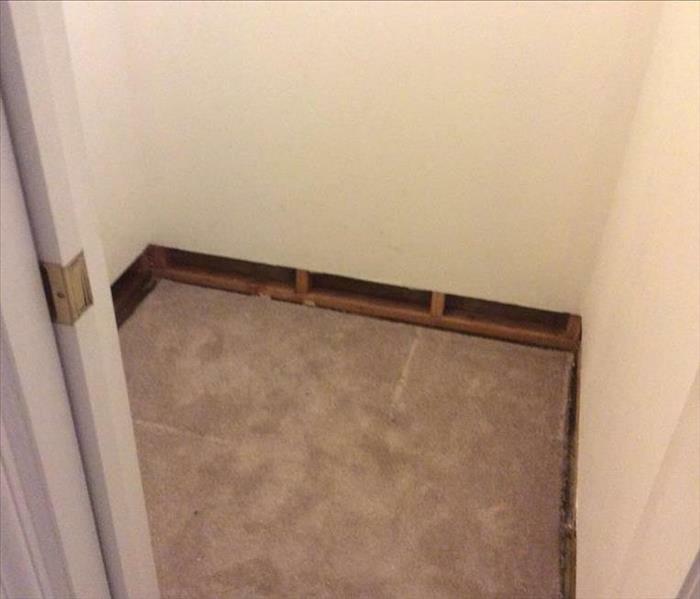 This homeowner had a water damage situation from a rain storm. The rain came down so fast that it flooded their home and they needed help cleaning. They called SERVPRO to come in and they handled it making it like new. There was a fire in an apartment and from the picture you can see the smoke damage on the walls. SERVPRO came in and took care of the soot and smoke in the apartment and let the homeowner feeling like it never even happened. 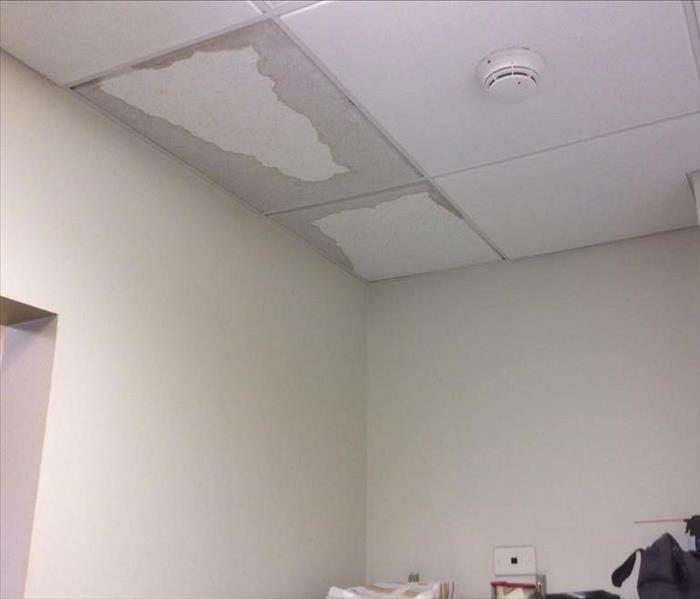 This Business had water damage to the office and needed a a company to come in and take care of it. They called SERVPRO to come and handle the situation. 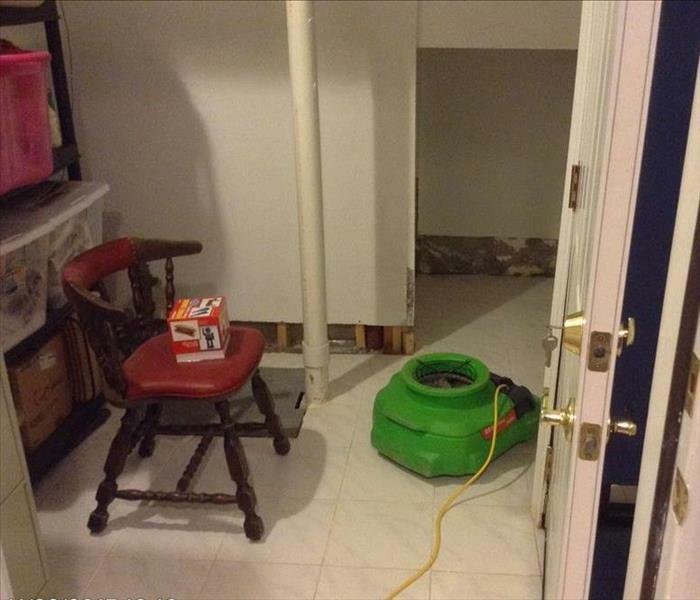 SERVPRO arrived and handled the situation at hand. 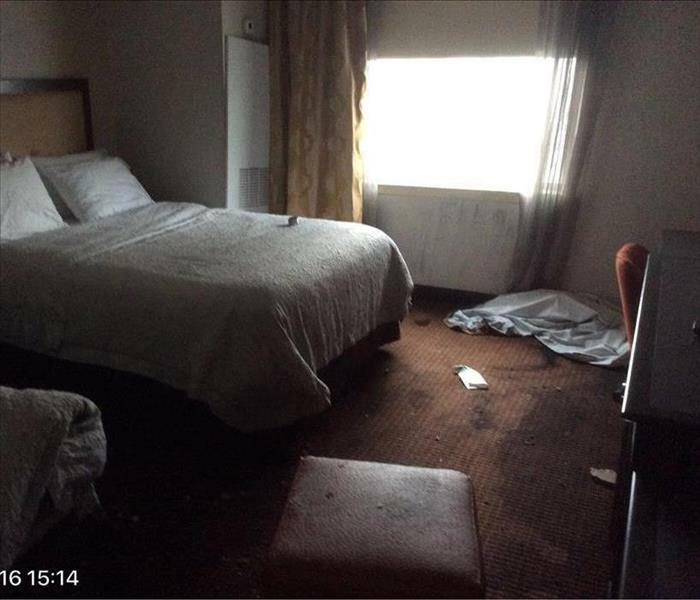 This was the aftermath of a fire in a hotel when we arrived on the scene. There was significant smoke and soot damage. The owner couldn't believe how quickly and completely we were able to clean the soot from the walls and ceiling. We make disasters "Like it never even happened." 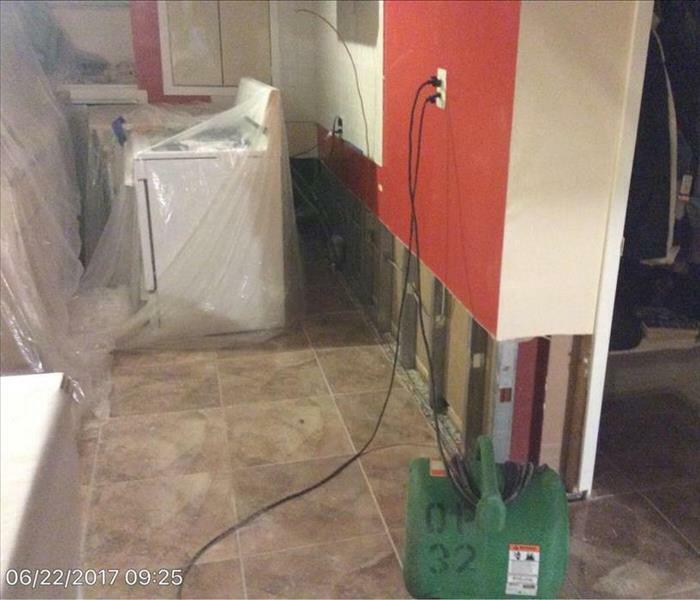 Water came into this homeowner home and saturated the floor and walls. 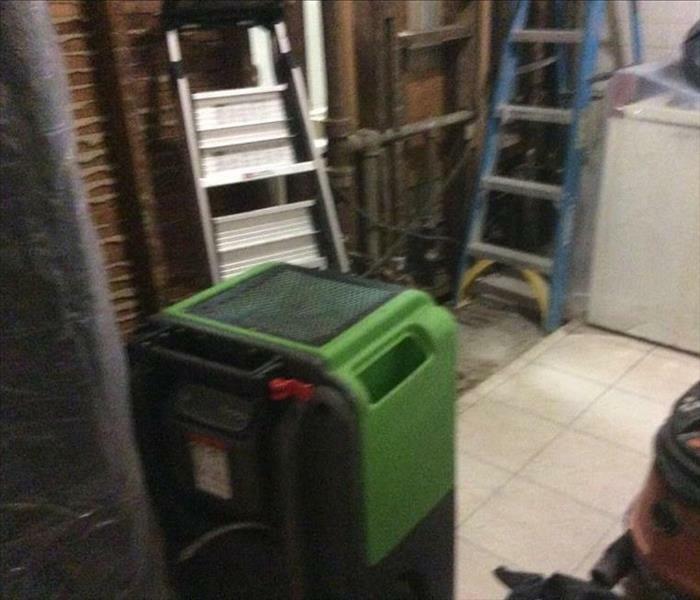 The owner called in SERVPRO of Ozone Park/Jamaica Bay to come clean up the water and dry everything out. We came out and cleaned and dried everything. The customer was so happy that there home was restored. This building was flooded in the Queens, NY, area after a rain storm. The water saturated the wall causing a lot of damage. 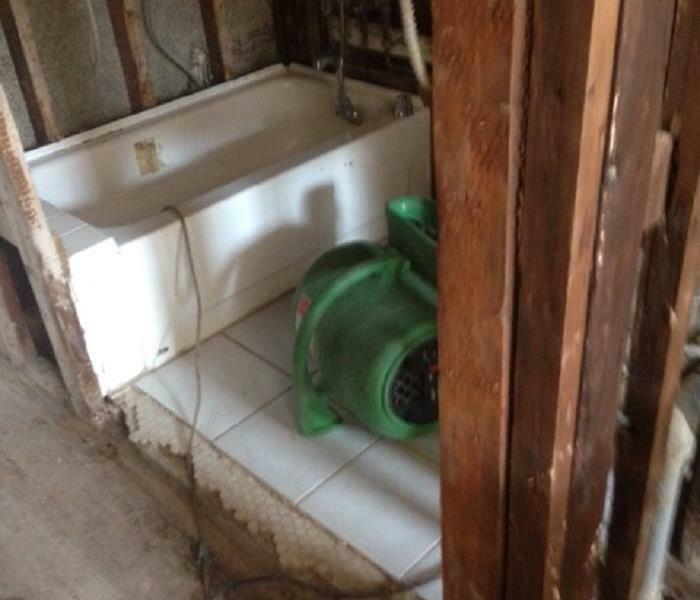 SERVPRO of Ozone Park / Jamaica bay had it cleaned and restored "Like it never even happened." 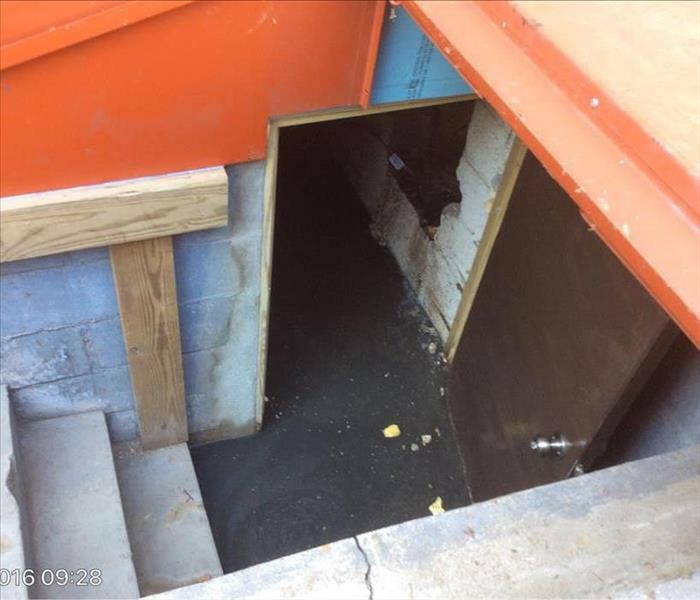 Water came into this business and saturated the floor and walls. 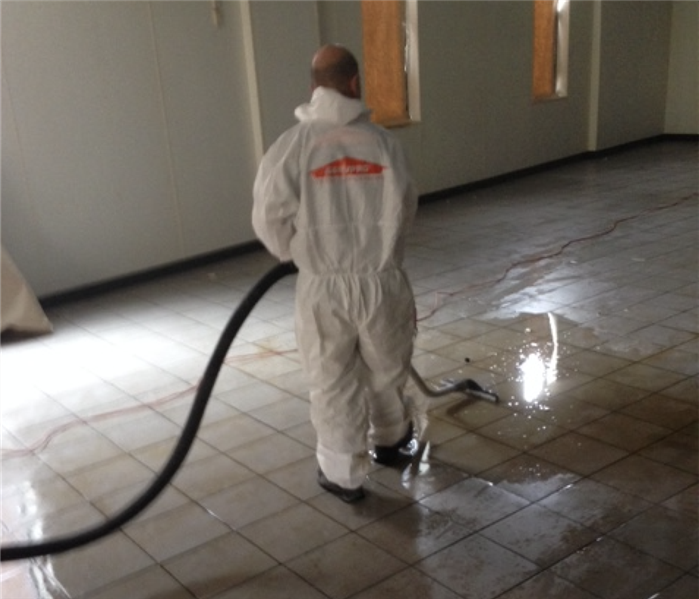 The business called in SERVPRO of Ozone Park/Jamaica Bay to come clean up the water and dry everything out. We came out and cleaned and dried everything. The customer was so happy that there business was restored. Water came into this home and saturated the floor. 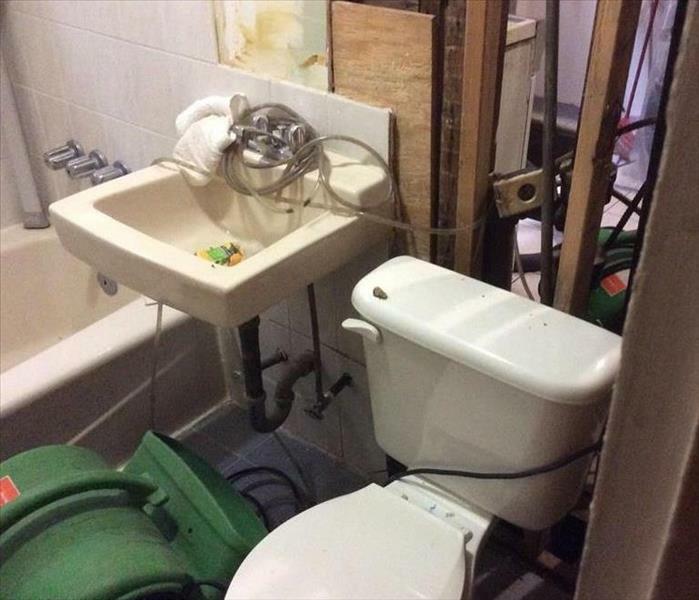 The homeowner called in SERVPRO of Ozone Park/Jamaica Bay to come clean up the water and dry everything out. We came out and cleaned and dried everything. The customer was so happy that her home was restored. 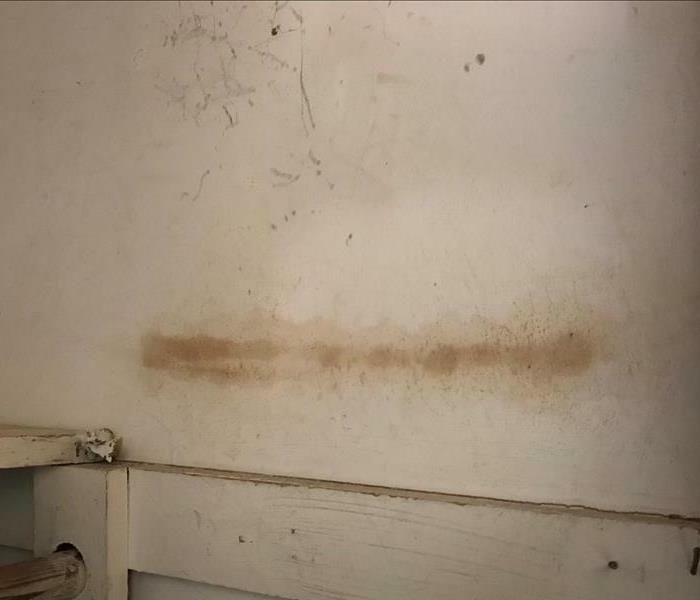 We received a call from a customer who believed he had mold in his new home. Molds are fungi that can be found both indoors and outdoors. If you see something that looks like Mold give us a call today. This home had a water loss from the bathroom that lead into the kitchen. We had to remove some of the wall to dry out the walls. You can see from the picture that the walls were cut and the machines were running to day out the walls. This was a water damage job in the basement. 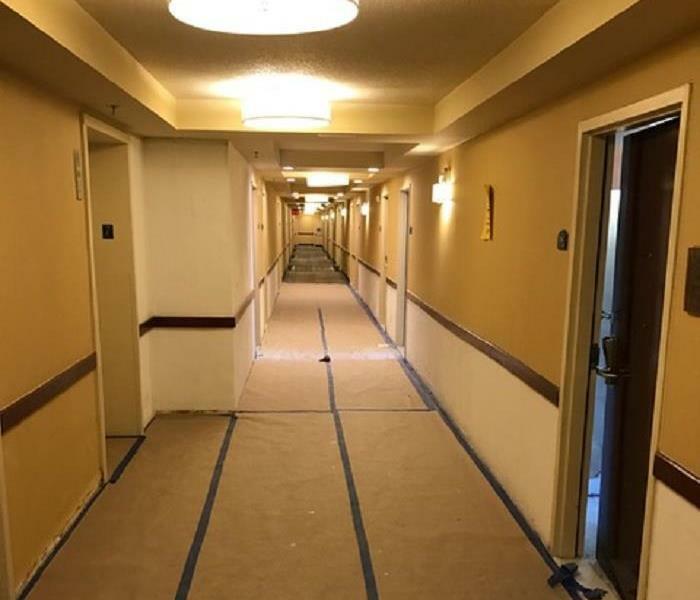 The walls were cut and the carpet was ripped up because it was all wet. We left our machines to dry it out and cleaned all the dirty areas. 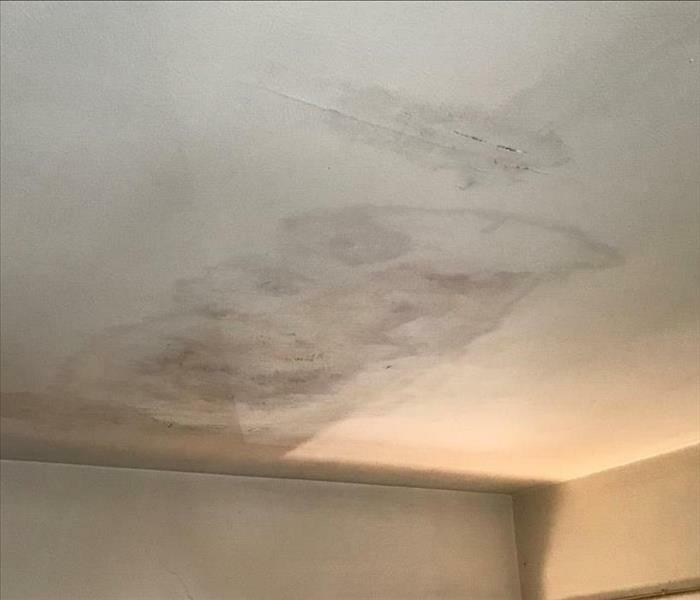 This homeowner was finding wet ceiling throughout his house and he did not know where it was coming from so he called in SERVPRO to come take a look and see if they could fix the damage. When we arrived we seen that the ceilings needed to be taken down and removed before he got mold. So that is what we did. We removed the ceiling as you can see from the picture and dried it out. This was a fire that destroyed a lot of the house. SERVPRO came in and clean and removed all damaged furniture. Not did this client only have fire damage she also got water damage. 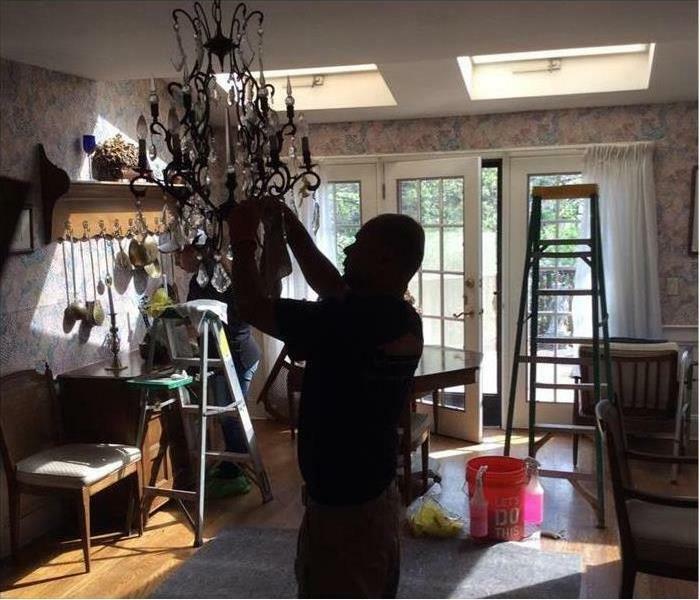 When the client finally seen the home after the fire they were amazed at how quickly SERVPRO restored the house. They said it was "Like it never even happened." 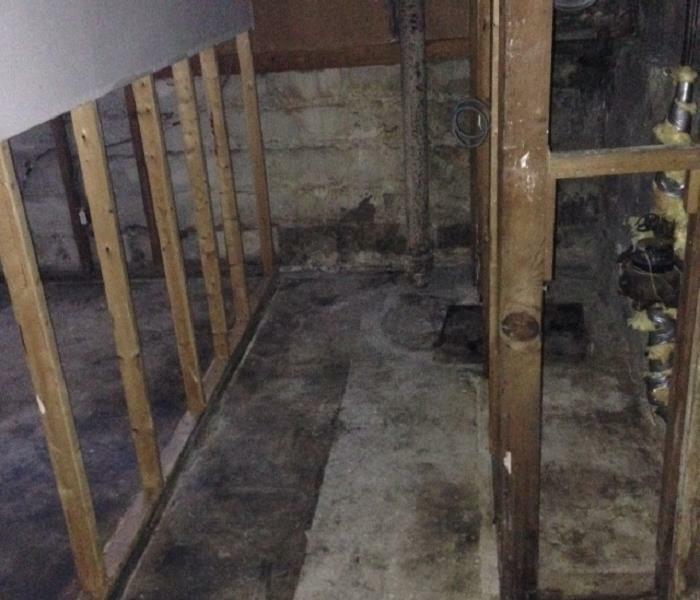 The customer called us in after having several feet of sewer water in his basement. He said the smell was horrible. This seemed like a disaster to the homeowner but SERVPRO fixed the problem. SERVPRO make disasters "Like it never even happened." This house fire started in the garage and and the smoke spread throughout the house. SERVPRO came in and cleaned out all of the burnt contents and also went into the main apartment and we came and cleaned out all of the smoke in the apartment and made sure it was clean.